The iconic South African brand Cobra wanted to showcase a new range of taps like no one has seen it before, so they did it by surprising theatre-goers at the Baxter Theatre in Cape Town with a beautiful symphonic experience. I know what your thinking, but think again. Cobra’s objective was to showcase their new range and make their taps front of mind for consumers. Cobra is known as an iconic South African Brand, so what better way to Introduce classic taps in harmony, than to put on a symphonic performance. They replaced the taps in theatre bathrooms with the new Cobra range, but made one slight alteration. Each individual tap controlled a separate section of an orchestra: strings, percussion, woodwind, piano and a choir. A section would play through a tap when it was opened and then switch off when the tap was closed. When more than one tap was opened at the same time, they harmonised to create a beautiful symphonic experience. Theatre-goers could enjoy an entertaining experience not only on stage, but also in the last place you’d expect to be entertained, the bathroom. Don’t worry about wasting water, Cobra worked with a team of engineers to ensure that water saving measurements were put in place for this “symphony”. Pretty cool, right? You gotta love finding technology in places you least expect it. What are your thoughts about this? Leave a comment and let me know what you think. Feedback is appreciated and welcome here. If you’ve enjoyed reading this post, feel free to share this with your friends on Facebook and Twitter. Remember: Sharing is Caring. 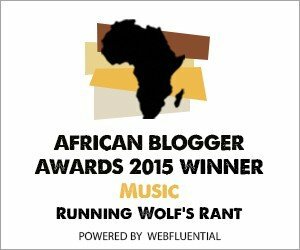 Watch this space for regular updates in the Technology category on Running Wolf’s Rant.